The reactions to the euro bungee riders is always the same, WOW! Strap in and get ready to jump up to 20 feet above the ground. 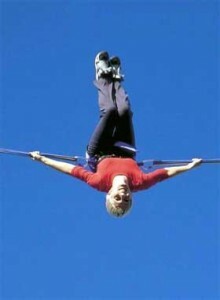 We also rent a mono bungee trampoline for events with limited space or ceiling heights. Licensed in Ohio and Pensylvannia, our primary objective is to provide safe entertainment and make your event a success! 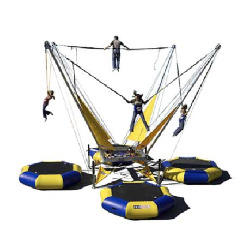 We provide bungee trampoline rentals in Akron, Cleveland, Canton, Youngstown and Columbus, Ohio and in the states of Pennsylvania, Michigan and Indiana. This is a great experience for both children and adults! 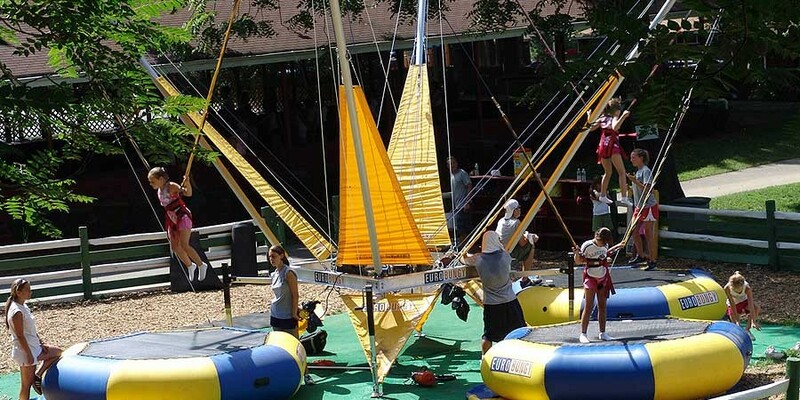 Our Bungee trampoline rentals are sure to be a thrill for all ages at your next event! Our new euro bungee trampoline accommodates up to four bungee jumpers at once. Riders must be over 40lbs and under 240 lbs to ride and fit securely in the harness. Riders may not participate if any of the following apply: a. Past injury to the back or neck. b. Chronic knee or other joint conditions. c. Any respiratory conditions, including but not limited to asthma or bronchitis. d. Any heart or circulatory conditions. e. Pregnancy.